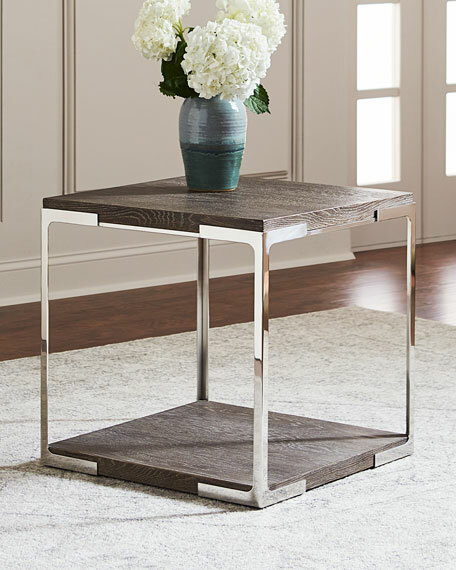 Rustic oak fume finished surfaces pair with stainless steel hardware to turn the bi-level side table into a fabulous example of industrial-chic. 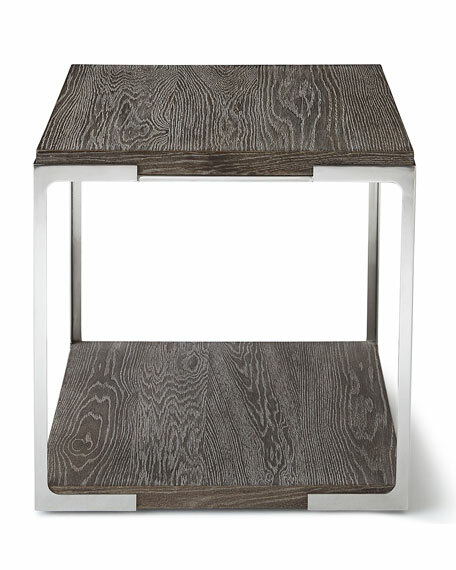 Stainless steel frame; oak top. 24"W x 24"D x 24"T.